1. When should you start looking for a photographer? The real answer is six months to a year in advance. When you put together the list of your "to do's" before the big "I do" look for your services first. Wedding season lasts from April through September. Book early! 2. Does the photographer fit your budget? Your wedding should be everything you dreamed of and capturing those memories and little details are important--BUT sticking to your budget is important, too. Your dress will look great that day and the pictures will reflect that for a lifetime. Remember to ask about services and print prices. Some photographers do package deals; others allow you to create your own package. Whatever your budget is, reserve about 30% for the purchase of CDs, memory books and prints for family and friends. 3. Do you like the photographer’s style? Many photographers today are artists. In order to stand out, they all do something a little different: classic colors, toned down shabby chic, hyped up contrast, black and white. Look at their work on their website and schedule a visit to look through their portfolio before signing a contract. If you don't LOVE their style, think twice: that is how your pictures will turn out. 4. Do you feel a connection? No, not love…but how much do you want to smile for a person you don't really like? If you can talk over the phone and in person with ease, you are creating a relationship that will make your wedding day fun. When you call or e-mail, the photographer should get back to you in a timely manner. This is your special day--and you need to be able to communicate efficiently. 5. What are the photographer’s credentials? Search the website for his or her experience. Your photographer should be presently active in the industry. Past clients and other professionals in the wedding industry are also solid recommendations. We all love our families, but Uncle Fred the engineer may not be the best person to recommend someone who takes "great pictures." When you are looking for someone to capture your memories, don't feel bad about checking out more than one photographer. Start early. Have a budget. Look at their products. Feel comfortable. Be informed. This will make your planning easier, your day more enjoyable, and your memories a pleasure to look back on. Rachel Wattson is a photographer based in San Diego and has been practicing her art for seven years. 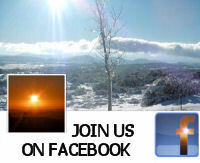 She is a wife and mother of two boys and is currently working as a wedding photographer. 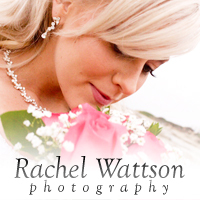 Check out her website at www.rachelwattsonphotography.com. Find more info for your wedding in our "Weddings in East County" section. Seems you covered them all here. I am also a wedding photographer based in Canada - www.amandabarkerphoto.ca and it is more of a passion for me rather than a calling. I love to capture happiness and love in the photos that I take. They are priceless. The new shop is working fine but only has a limited range of our stock of wedding jewellery on it. At Manning and Manning, we offer made to measure bespoke Suits at a very affordable price! Nevertheless, a wedding experience can be very exhausting. I remember that at my wedding I forgot where I put the name necklace I wanted to give to my wife. Beside that, my best man didn't find the wedding rings, and my photograph had a headache. I understand now why it is recommended to get married only once.